Following the Open, the top 200 Masters athletes worldwide in each age division were invited to compete in the 2016 Masters Online Qualifier. The Online Qualifier workouts were released on Thursday, April 21, 2016, at 5 p.m. PT. Masters athletes had until Monday, April 25, 2016, at 5 p.m. PT, to submit their scores and/or videos for these workouts. 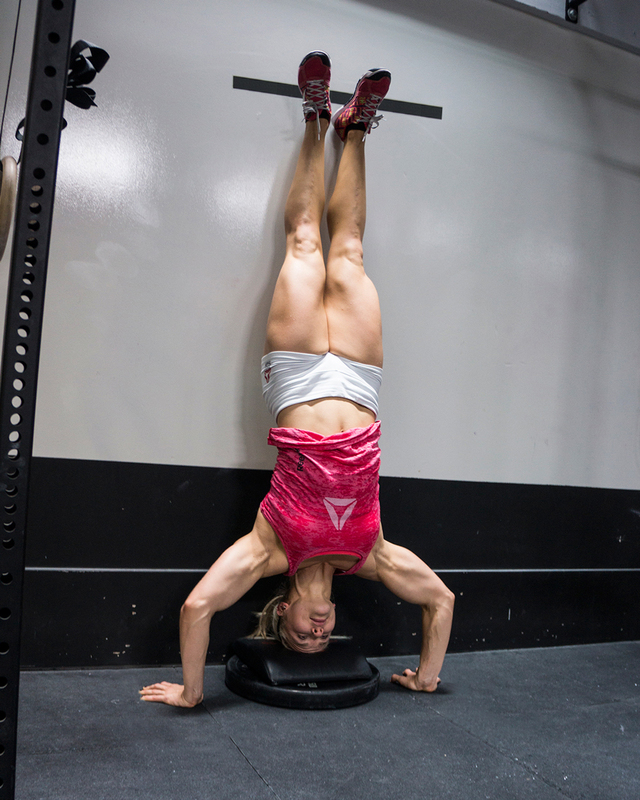 In the muscle-up, you must begin with or pass through a hang below the rings with the arms fully extended (with or without a false grip) and the feet off the ground. For the clean, the barbell begins on the ground. Touch-and-go is permitted. No bouncing. A muscle clean, power clean, squat clean or split clean may be used as long as the barbell comes up to the shoulders with the hips and knees fully extended with the feet in line and the elbows in front of the bar. For 55+ divisions, the bottom of the dip requires the shoulders must pass below the height of the elbow. At the top, the elbows must be fully locked out while supporting yourself above the rings. Kipping the dip is acceptable. The barbell begins on the ground and must be lifted overhead in one smooth motion. This is not a ground-to-overhead any way. A clean and jerk, where the bar is lifted to the shoulders and then lifted overhead is a no rep.
For this event, only the heaviest lift must be shown on video. The plates and barbell must be filmed so the loads can be seen clearly. Prior to lifting the athlete must state their name and the weight they are about to attempt. All video submissions should be uncut and unedited in order to accurately display the performance. Shoot the video from an angle so all exercises can be clearly seen meeting the movement standards. 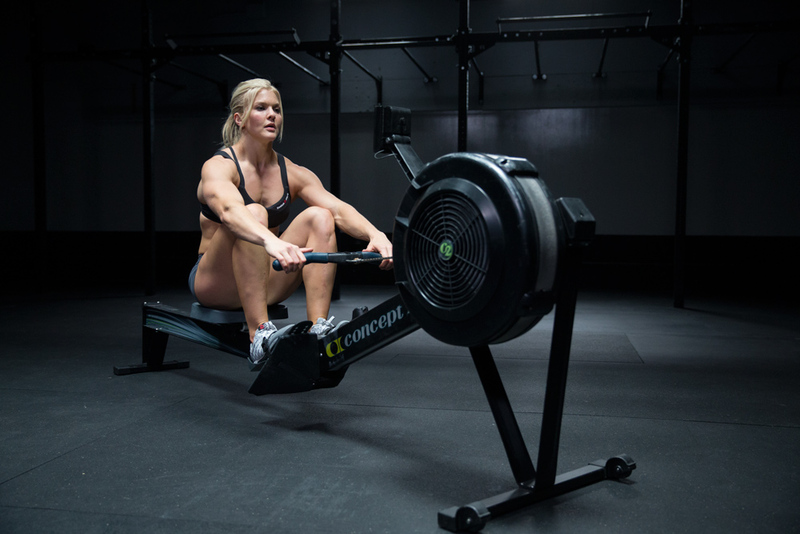 The athlete may begin the workout seated on the rower but may not grab the handle until the call of “go.” The monitor must be set to zero at the beginning of each round. This is a standard barbell thruster in which the barbell moves from the bottom of a front squat to full lockout overhead. The bar starts on the ground. No racks allowed. The hip crease must pass below the knees. A full squat clean into the thruster is allowed. Using a ball, box or other object to check for proper depth is not allowed. The barbell must come to full lockout overhead with the hips, knees and arms fully extended, and the bar directly over the body. This is a standard chest-to-bar pull-up. Dead hang, kipping or butterfly pull-ups are allowed, as long as all requirements are met. The arms must be fully extended at the bottom. For the chin-over-bar pull-up (55+ divisions only) the hang position is the same as the chest-to-bar pull-up (see above). Dead hang, kipping or butterfly pull-ups are allowed, as long as all the requirements are met. At the top, the chin must break the horizontal plane of the bar. Every rep must begin with both feet on the floor. The rep finishes with the hips and knees fully open while in control on top of the box. You may jump or step up or down as long as both feet start on the ground and both feet end on the box in control. Prior to starting you will need to establish your foot line for the handstand push-up. Stand facing the wall with your feet at hip width and your toes touching the wall. While standing tall, reach your hands over your head with your elbows straight, shoulders extended and your thumbs touching. From here, mark the height of your wrist, then measure down 3 inches and create a line on the wall. Mark your line with a permanent marker, chalk or tape. Judges may restore the line between rounds as needed. Each handstand push-up begins and ends with the heels in contact with the wall and above the marked line. The athlete may place their hands however they choose as long as their heels are above the line. At the bottom, the head makes contact with the ground. The feet do not need to remain in contact with the wall for the entire movement, but must touch above the line at the beginning and end of each rep. Kipping is allowed. 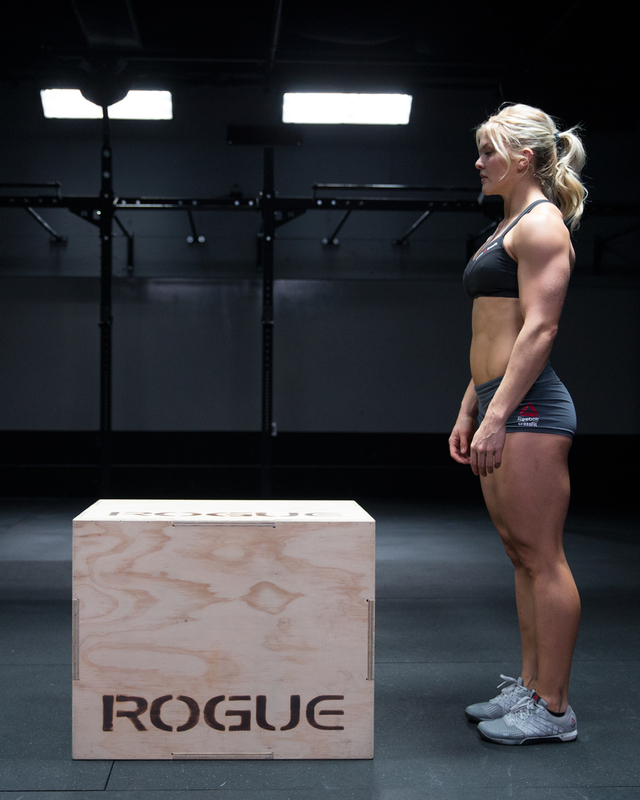 Depending on your division you may be allowed to use a 2- or 4-inch riser for the handstand push-up. The riser can be created with plates or AbMats. Mark your foot line from the ground, prior to placing the riser.